One of my very favorite parts of preparing for our baby girl has been putting together her nursery over the last few months. I’ve documented some of her nursery projects, but now it’s time to share her vintage floral nursery. I decided to go with pinks, yellows, greens and blues. I love color, so I figured I’d go ahead and introduce our girl to color at a very young age. 😉 However, we wanted the big pieces of furniture to be white so we can use this nursery for future children, no matter the gender. 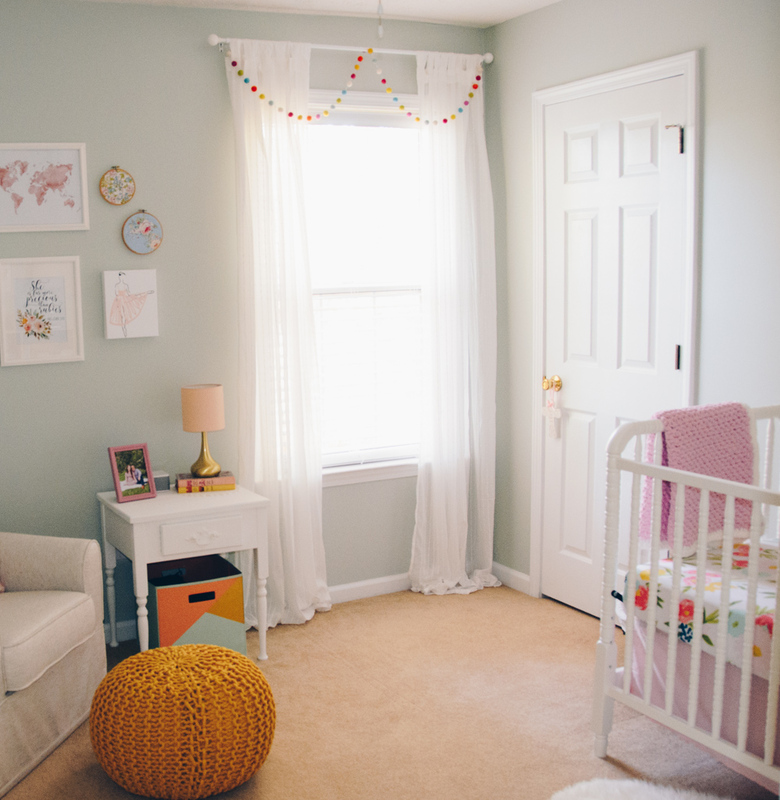 Also, we have a small nursery, so space saving and utilizing all of our space was really important to me. I’ve linked where you can find her nursery items underneath photos so you can shop our nursery picks. We had a goal of not breaking the bank while planning this nursery, and I have to say, I’m really happy with the affordable pieces we found! Curtains: IKEA Matilda Curtain |Pom Pom Garland: any craft store (Hobby Lobby or Joanne’s) or you can make it!